In fact, the whole project exists in no relation to men whatsoever. Imagine that. 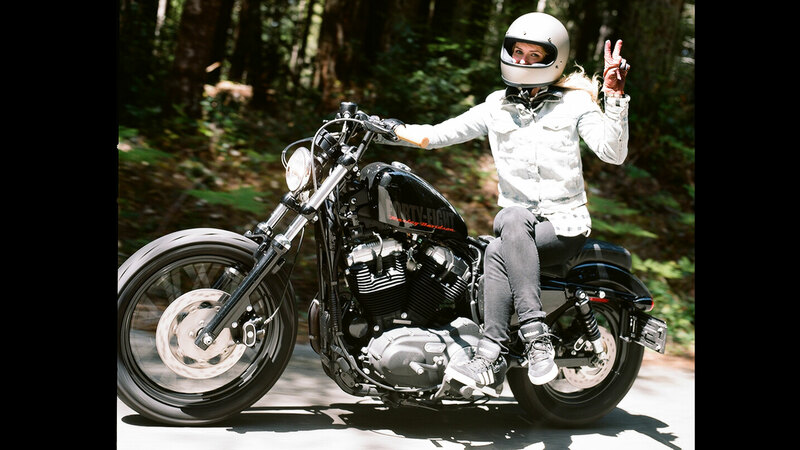 “Stormie Ray is one of the first women that I rode with when I first started riding. Stormy embodies a courageous liberated, independent female rider. Stormie has been riding for 20 years and is extremely comfortable on the bike and is so fun to photograph. She was the first woman I photographed to kick off the exhibition. Thank you, Stormie. Four amateur detectives are not yet on the case.